Gen Art and BOXeight launched L.A. Fashion Week in downtown at the Los Angeles Theatre today. 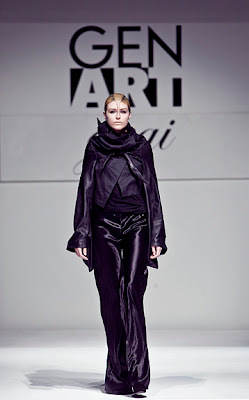 Gen Art featured fall lines from Raquel Allegra, GRAI, and Society For Rational Dress. BOXeight held two shows, one from Sonia Swim wear, and a smashing show from Gerald. Celebrities spotted, Ron Jeremy (actor), Jerrell Scott (Project Runway), and Brook Mahealani Lee (former Miss Universe). President Obama in Downtown L.A.